Politics is a serious and responsible sphere of activity, and politicians suppose to be educated and respectable representatives of the society. However, politicians can surprise us. How? The most famous bicycle fan among the world leaders. The 50th and current Prime Minister of the Netherlands and leader of the right-liberal People’s Party for freedom and democracy Mark Rutte shows an example and gets around by bicycle. In 2017, a photo in which the Prime Minister parks his bicycle in front of the royal palace in The Hague, flew around the Internet, triggering a storm of emotions and comments. Given where Mark Rutte was, it’s surprising that he had still locked his bike. 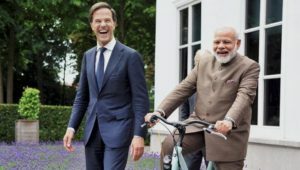 His love of bicycles, Rutte, literally shared with Indian Prime Minister Narendra Modi by presenting a bicycle to the Indian leader during his visit to the Netherlands. Modi was delighted with the gift and subsequently thanked Rutte again on Twitter. The Netherlands has a reputation for a country where everyone rides a bike from childhood. There are more bicycles here than people. The entire infrastructure is designed for cyclists: for them, cycle tracks and separate crosswalks are laid everywhere and even individual traffic lights are set. Neither pedestrians, nor drivers, as a rule, dare to enter into a dispute with cyclists. They give them way, even if they behave aggressively. “Beer” record of the Australian Prime Minister. 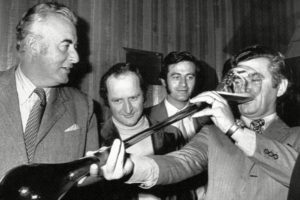 Who would have thought that the former prime minister (March, 1983 – December, 1991) and the leader of the Labor Party of Australia, Bob Hawke is a beer record holder. His success during his student life at the University of Western Australia and Oxford was supplemented by a new world beer record. Hawke “swallowed” 1.4 liters of beer, or 2.5 imperial pints, in just 11 seconds, which was a penalty popular among students. Later, in his memoirs, Hawke suggested that this “achievement” played a decisive role in his political career, provoking love among beer lovers. Indeed, Australians are known for their love of beer and ale, and every year there is a beer festival here. Among Hawke’s other victories is the record fifth consecutive victory of the Labor government and a record thirteen years in the government. Hawke remains the longest ruling Prime Minister of the Labor Party, the third-term prime minister of Australia, and also at the age of 89 the longest living of former prime ministers of Australia. Hawke is the only Australian prime minister born in South Australia, and the only one who grew up and was educated in Western Australia. In 2010, a biographical film about the life and successful political career of Bob Hawke was released. 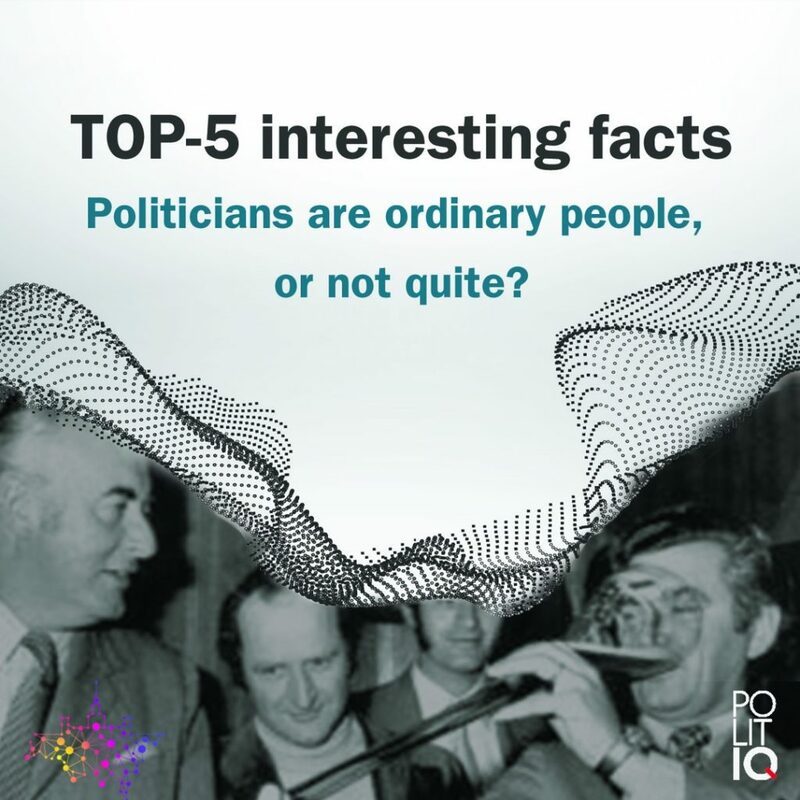 Sometimes it seems that recognized politicians are everywhere: we hear about them on the radio, read in the press, receive news in social networks. In fact, so it is. According to the daily newspaper The Telegraph, Teresa May spends 5-6 hours sleeping. 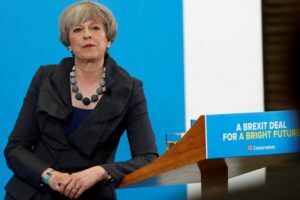 In 2016, Teresa May even fell asleep during an important report by sir D. Chilcot about the war in Iraq. According to the newspaper The Sunday Times, recently May sleeps even less, as Brexit does not give her rest. As many newspapers have written, Angela Merkel, Donald Trump and Barack Obama also sleep for 4 hours each. In English, these politicians are called “sleepless elite”: they are owls and early birds at the same time. Such people almost always go to bed after 12 and wake up at dawn without an alarm clock, do not rely on coffee or afternoon nap, are full of energy, ambitious and optimistic. However, do not confuse those who really have 4 hours of sleep, with those who suffer from chronic insomnia. The latter are apathetic, slow people resembling zombies and needing the help of specialists. The lucky people who manage with a small amount of sleep, it is quite difficult to find. A writer to the list! Ex-President of France Francois Hollande wrote several books and scientific publications. His last book calls “Lessons of power”. It is his memoirs about a five-year presidential term. The book was translated into Russian a few months ago. In the book, Hollande shares his experience in the management of the state, assesses his contribution to the development of France, expresses his position on various socio-economic issues, and also tells about himself, including about breakup with Valerie Trierweiler and about relations with actress Julie Gayet, and his approach to life and the role of humour in it. Hollande criticizes the current president Emmanuel Macron and has a mixed opinion about Russian politics. Boxer, TV star or fashionista? Prime Minister of Canada, one of the most charming politicians of our time and an exemplary family man, Justin Trudeau several times participated in charitable boxing matches, and also starred in a military mini-series. 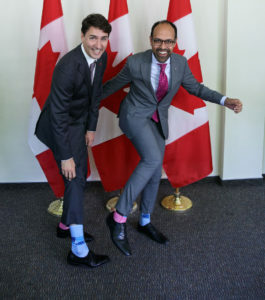 In addition, Trudeau is known for his passion for socks of bright color or with unusual patterns in which he unhesitatingly appears in important meetings. Socks for Trudeau is a way to express his attitude to this or that event. For example, at a meeting of the heads of state and government of NATO countries in Brussels, the politician came wearing pink socks with the logo of the alliance. And in socks with the symbol of Canada – maple leaves – Trudeau was seen even more than once. You can understand Trudeau: probably he was bored with business suits and classic shoes that do not reflect his creative personality, and socks are a creative way to stand out in serious political circles. At the Faculty of Political Science of Moscow State University you can study the psychology of politics: analyze cases and behaviour of famous leaders, their actions and speech. In the future, you can work as an image-maker, pr-specialist or even organize political campaigns. The new English-language master’s program at the Faculty of Political Science is dedicated to the post-Soviet space, and its leader is the well-known Columbia University professor Robert Legvold. If the American and West European leaders are more or less studied, then the political portraits of the East European statesmen are relevant for Russian science. In addition, specialists in modern history of the post-Soviet space and relations of the former USSR countries with Russia are especially in demand today in GR, state structures, think tanks, international companies and non-governmental organizations.